Found 48 file extension associations related to Adobe Pagemaker for Mac and 40 file formats developed specifically for use with Adobe Pagemaker for Mac. 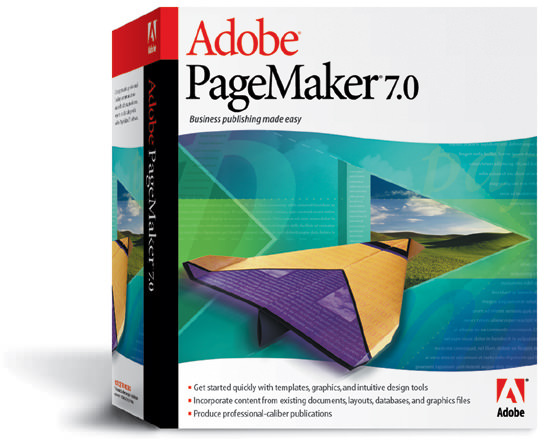 Adobe PageMaker software is the ideal page layout program for business, education, and small- and home-office professionals who want to create high-quality publications such as brochures and newsletters. Get started quickly with templates, graphics, and intuitive design tools; work productively across Adobe applications; and easily leverage existing content to create customized communications. The Adobe Pagemaker for Mac software seems to be old or discontinued. If you need more information please contact the developers of Adobe Pagemaker for Mac (Adobe Systems Incorporated), or check out their product website.